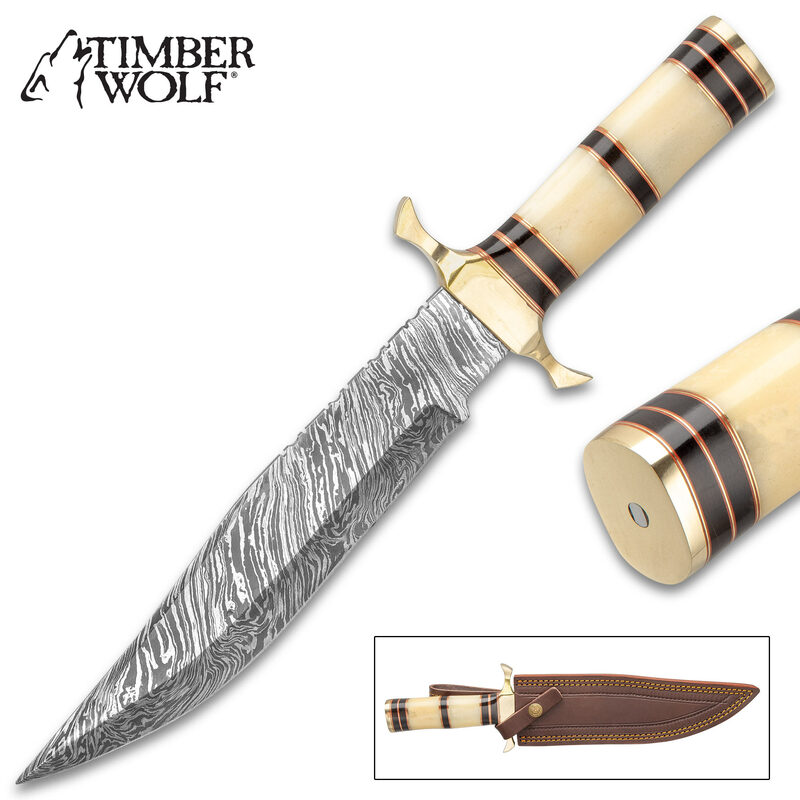 Timber Wolf Tippecanoe Battle Knife With Sheath - Damascus Steel Blade, Bone And Buffalo Horn Handle, Brass Guard - Length 14” | BUDK.com - Knives & Swords At The Lowest Prices! The Timber Wolf Tippecanoe Battle Knife was built tough to be the companion at your side that you can count on to get the job done when you’re out in the wilds. 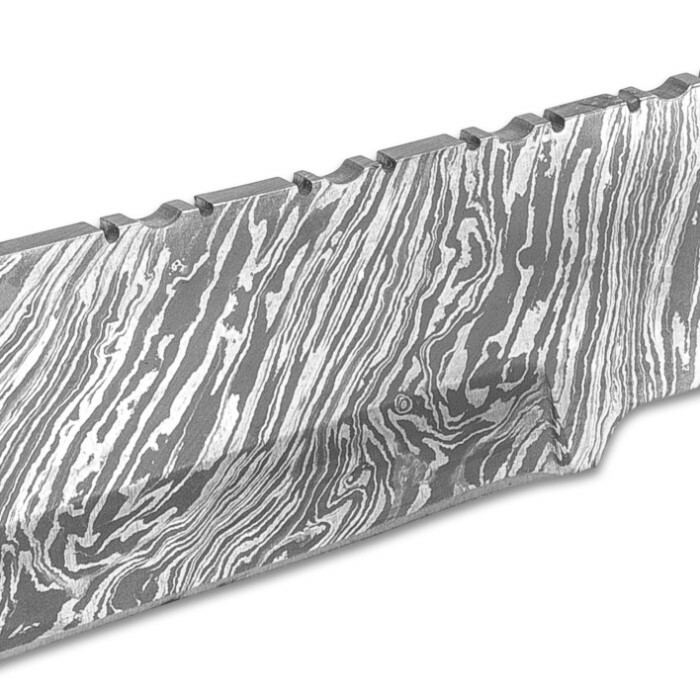 It has a keenly sharp, 8 3/4” Damascus steel blade with a fire pattern and intricate filework along the top of the spine. 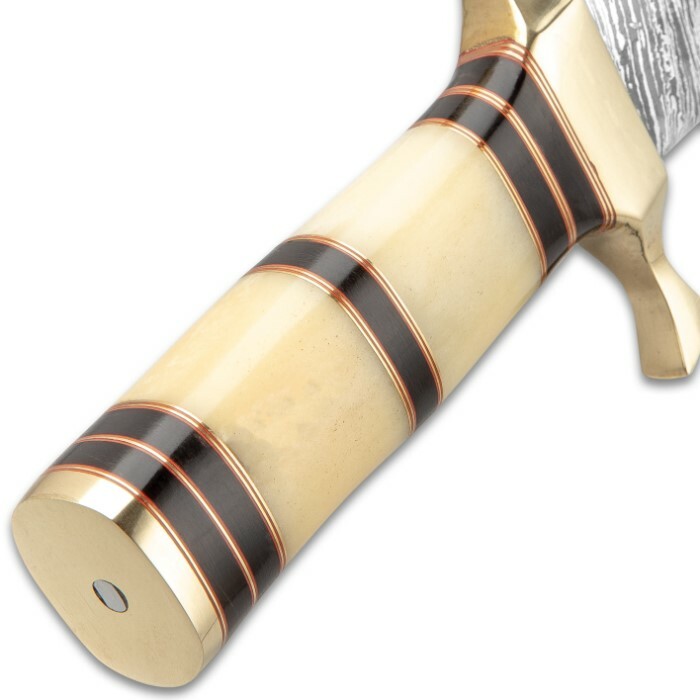 The handle is genuine bone and buffalo horn in bands of cream and black, accented by thin red and brass spacers. 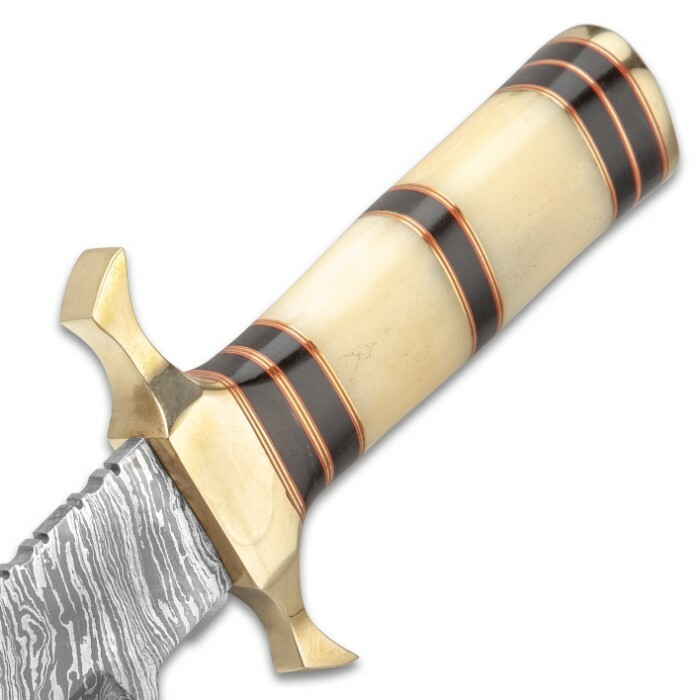 The fixed blade has an extra beefy brass handguard that complements the brass pommel. The 14” overall fixed blade knife fits like a glove in its premium, genuine leather belt sheath, which has a snap closure strap. 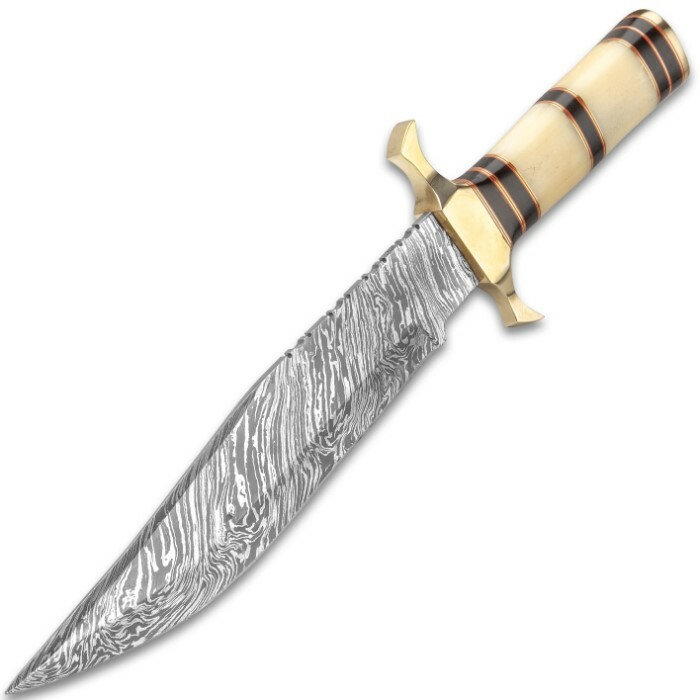 Timber Wolf has no competition when it comes to crafting a knife that is both a striking showpiece and a functional blade that will absolutely get the job done!